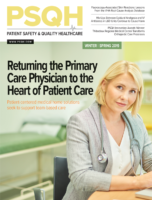 This member only article appears in the March issue of Patient Safety Monitor Journal. Ever since the Harvey Weinstein scandal broke in 2017, there’s been new (and well-deserved) attention placed on sexual harassment, and healthcare organizations are no exception. The industry is rife with examples. A surgeon cornered a colleague in a cloakroom after a professional society dinner and insisted he was going to walk her to her hotel room. There was a $168 million lawsuit against a California hospital after a surgeon slapped a nurse’s rear daily while saying “I’m horny.” A Denver nurse was sent to prison for fondling female patients while they were sedated. A nurse was pinned to a bed by a patient and had her clothes ripped off and back clawed. Ideally, everyone could go to work without having to worry about harassment. But since this isn’t an ideal world, healthcare organizations (HCO) must get proactive about preventing, investigating, and resolving sexual harassment claims and violations. Kate Fenner, PhD, RN, managing director of Compass Clinical Consulting, specializes in organizational optimization, performance improvement, and regulatory compliance. Anyone who has worked in an HCO can recount a harassment story or allegation, she says. And some HCOs are more prone to these problems than others. And it’s not just the public and newspapers watching. Government agencies and surveyors are also taking notice. This type of harassment is fairly straightforward (“Come to my hotel room and we’ll talk about your promotion.”). It also applies to retribution/punishment for rejecting a person’s advances (“Since you won’t go out with me, I’m demoting you.”). This type is more subjective and covers a variety of bad behaviors: unwelcome jokes, graphic images, insults, threats, gestures, and touching of a sexual nature. Typically, most quid pro quo cases also include hostile work environments.